Propagation of ultrashort light pulses in disordered multilayers is studied by using numerical simulations in the time domain. We consider cases of instantaneous and noninstantaneous Kerr nonlinearities of the structure materials. The competitive nature of disorder and nonlinearity is revealed on the long and short time scales. We also pay special attention to the effect of pulse self-trapping in the photonic crystal with relaxing nonlinearity and show the dependence of this effect on the level of disorder. 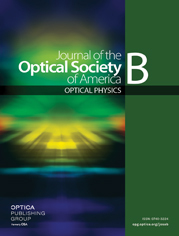 We believe that the results reported here will be useful not only in the field of optics but also from the standpoint of the general problem of classical wave propagation in nonlinear disordered periodic media.